It was a great privilege for GSF to open 2011 with a lecture by HRH Prince Turki Al-Faisal. His lecture on ‘The Heart Of Conflict In The Middle East’ attracted the largest audience ever in GSF’s history. 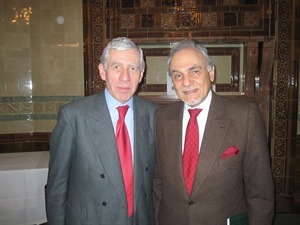 Speaking to a packed room at the National Liberal Club on 25th January, HRH Prince Turki Al-Faisal gave a thought-provoking analysis of Palestinian-Israeli conflict and the role which Britain could play in helping to resolve it. The Rt Hon Jack Straw MP chaired the event.